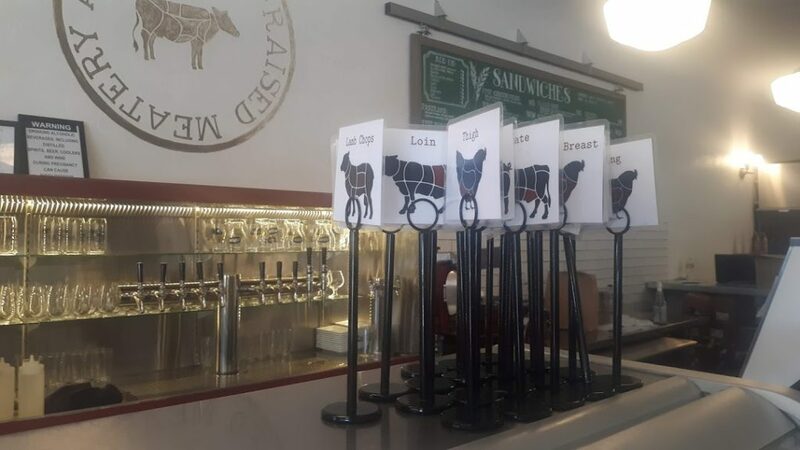 You can venture into any deli and order a sandwich, but in Flagstaff, Arizona you can order a sandwich filled with fresh and Arizona farm-raised beef or poultry in a rustic contemporary atmosphere. 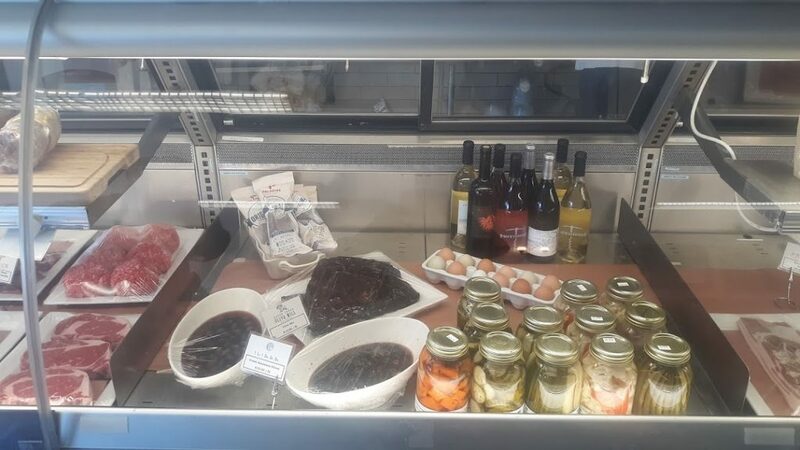 Proper Meats + Provisions is a community butcher shop inside of a historic neighborhood store located off of legendary Route 66. The original sign from the cafe that existed beforehand still remains. Inside wood and metal accents adorn the shop interior. 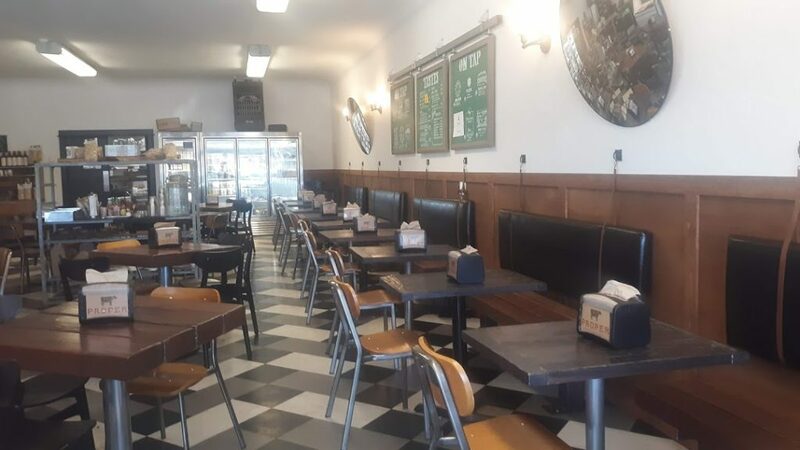 Visitors can order a sandwich from the deli where the meat is cut and made fresh on the spot. If you want something to take home, there are cuts of humanely and sustainably raised meat for purchase at the counter. 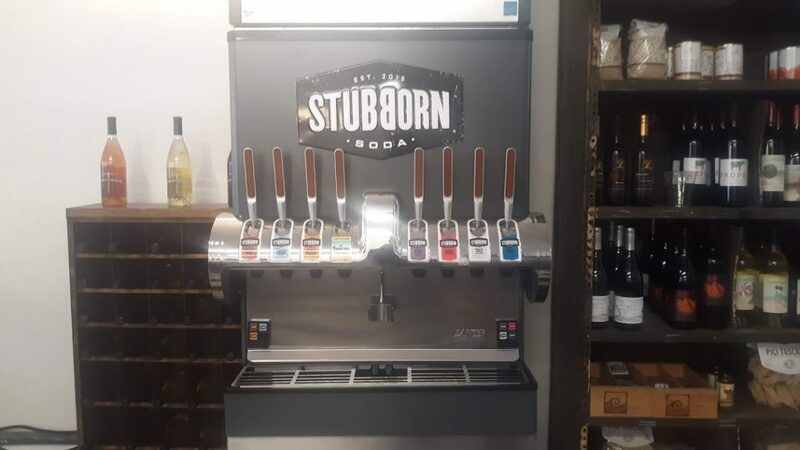 Head towards the back for a classic soda fountain drink or try one of their selective craft beers on the menu. 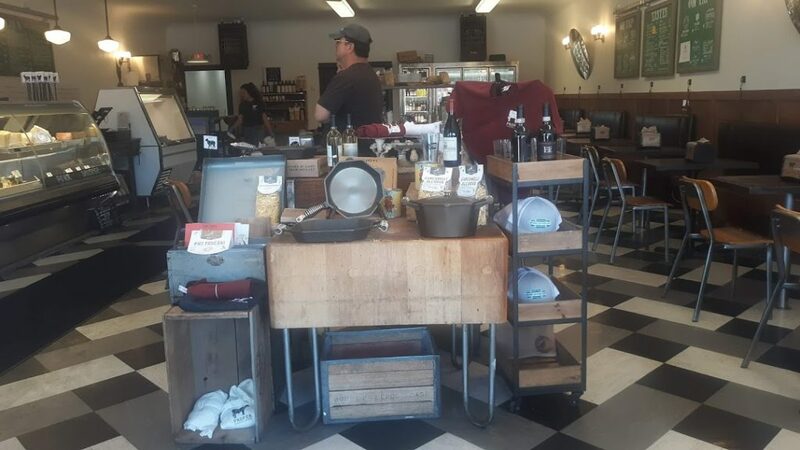 Cast-iron skillets and other artisan made kitchen accoutrements are displayed in the front. 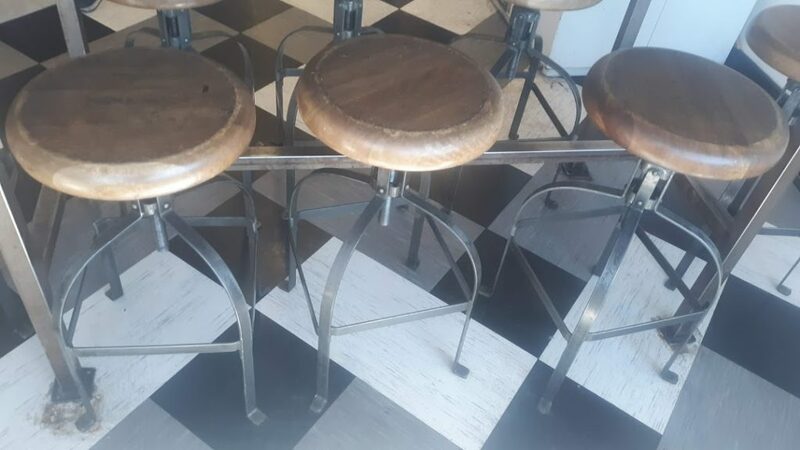 Industrial style stools, metal chairs and light fixtures with transparent shades and exposed light bulbs give the meatery a contemporary farmhouse country feel. 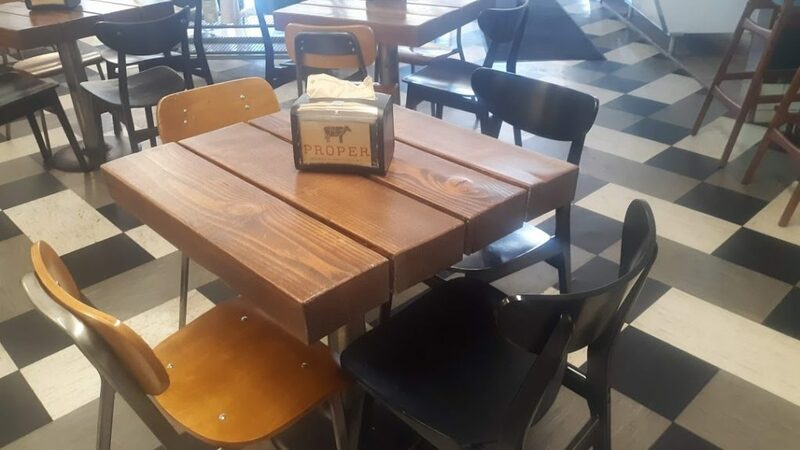 In addition to the rustic tables with unique wood grain for dining. 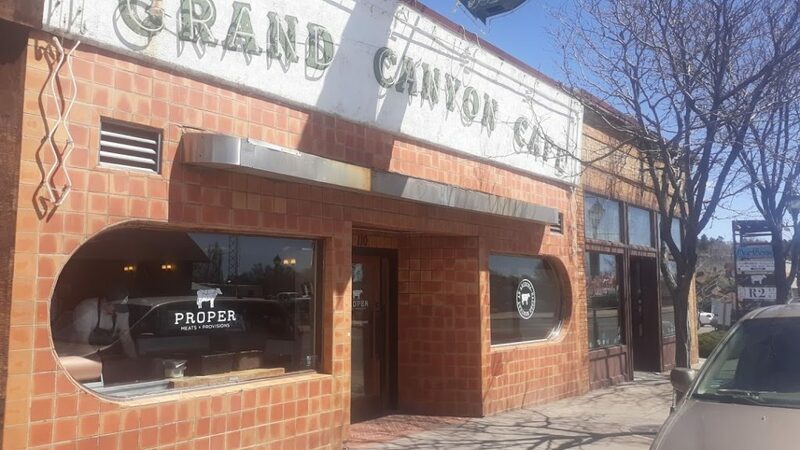 Proper Meat + Provisions is a favorite among locals and a must-go-to spot for anyone visiting the Flagstaff area.